Earlswood Station opened as Earlswood Lakes Station in 1908 on the GWR's North Warwickshire Line. 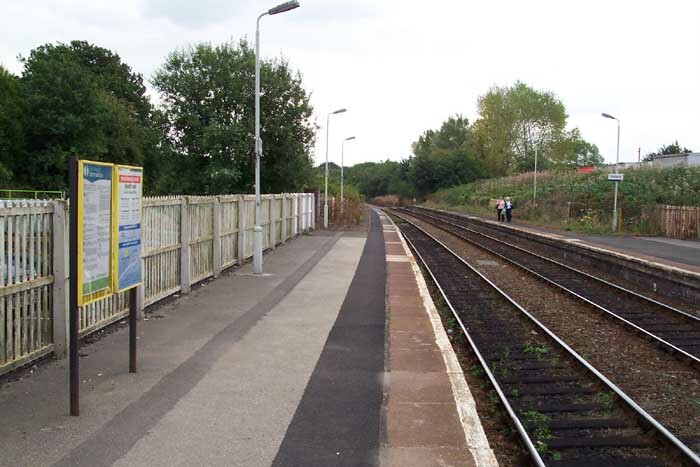 As with many of the more rural stations on this line, Earlswood is an unstaffed halt served by half-hourly Centro services between Birmingham and Stratford. 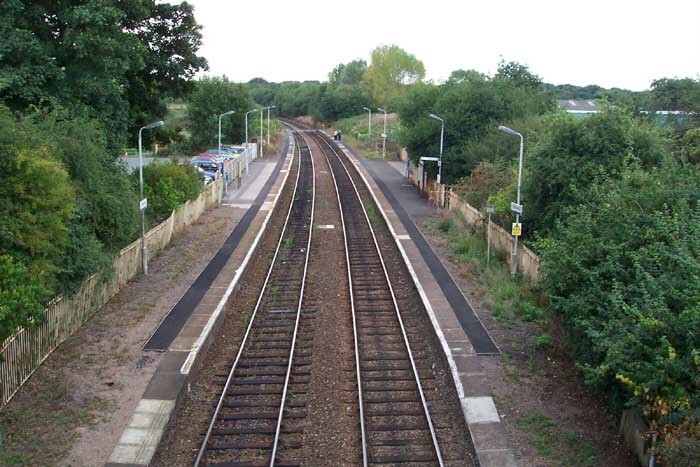 Above we see the entrance to Earlswood Station from Rumbush Lane, September 2003. 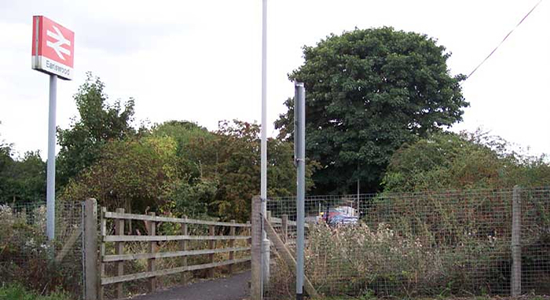 Above-left we see the entrance to the Stratford platform from Station Drive. Above-right we are on the Rumbush Lane overbridge looking along the length of the station towards The Lakes. 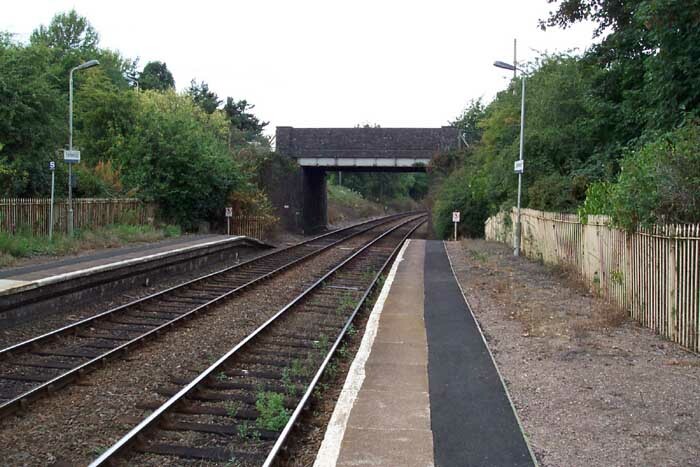 In its original form, there were two significant canopied station buildings - one on each platform - beginning roughly where we can see the second lamp post on the left. 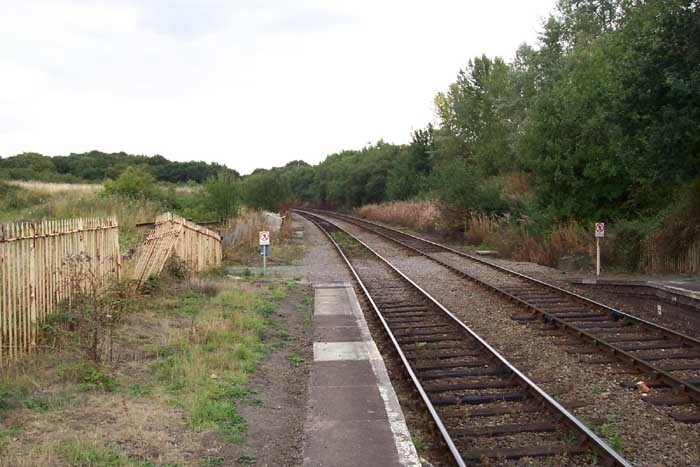 Beyond the buildings was a covered overbridge but sadly these features have all been removed. Where the right-hand platfrom slopes down to track level was also sited a water tower in the days of steam. Above-left we are on the Stratford platform looking towards The Lakes, note two passengers on the Birmingham platform, and above-right we are on the same platform but this time at its end looking towards Birmingham. 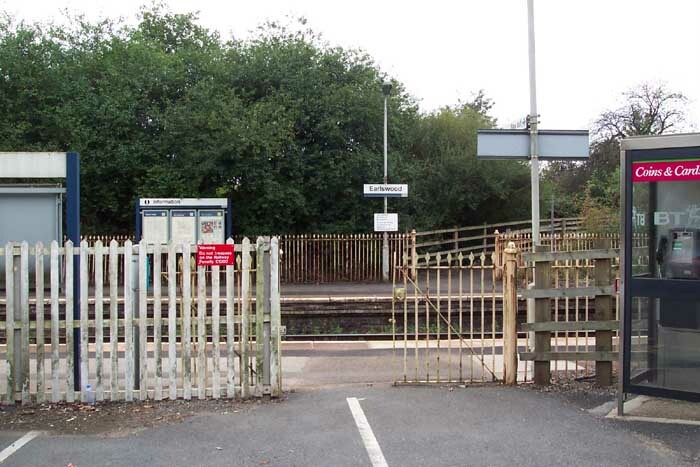 The above-right image illustrates well the general state of repair at Earlswood Station - collapsing fences and peeling paintwork. Above we are again on the Stratford platform but looking towards The Lakes and Stratford with the Rumbush Lane road overbridge centre-shot.